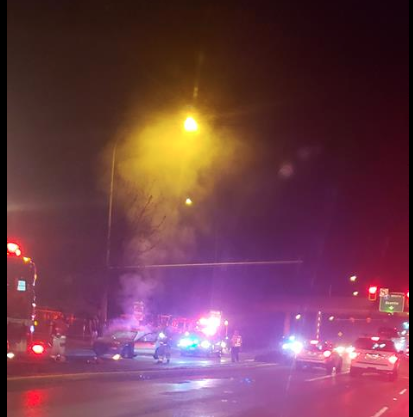 Car fire on freeway exit at N 175th around 9:15pm. The driver was able to safely exit the vehicle. Shoreline firefighters sawed open the hood and quickly extinguished the fire.